Want a model ship but find yourself lacking the space required? Not all model ships are big space-takers that require you to clear away everything in order to make room. So if space is a premium but you still want a model ship, you should check out our collection of ships in a bottle. Now, there is always something intriguing about a ship in a bottle, and the smaller the bottle gets, the larger the intrigue goes. Just how do you build one? How do all those materials get into the bottle, and how do you move them and secure them into place so that it eventually looks like one of our extremely detailed little ships in a sleek glass bottle? Well, we do not know how it is done either, but the result certainly is apparent. Our ships in a bottle are detailed little models inside of authentic glass bottles. Even better, all of our ships in a bottle are models of famous, known ships. Obviously, ships in small bottles can only feature so much detail, yet these ships in a bottle are nothing short of thoroughly impressive for their size. So, let us run by the facts one more time: we have no clue how they are made, they feature incredible details inside of rather small bottles, they are extremely space efficient, they are models of real ships that sailed the seas, and they are all bargains. Really, there is no downside to our ships in a bottle as far as nautical decor goes. The ship in a bottle is one of the classic items of nautical decor, inspiring awe and curiosity with its remarkable craftsmanship. 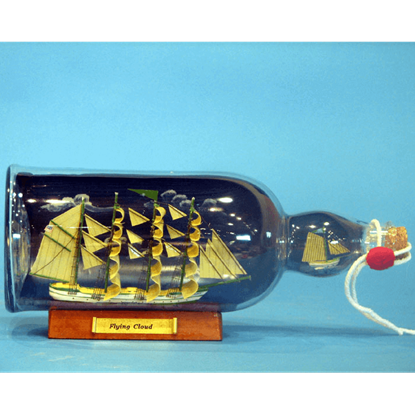 The Blue Flying Cloud Ship in a Bottle features the record-setting ship, the Flying Cloud. The ship in a bottle is one of the classic items of nautical decor, inspiring awe and curiosity with its remarkable craftsmanship. The Blue Flying Cloud Ship in a Bottle with Sky features the record-setting ship, the Flying Cloud. 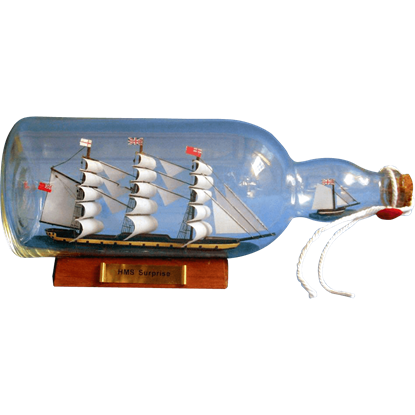 One of the classic items of nautical decor, the ship in the bottle inspires fun and mystery with its remarkable craftsmanship. 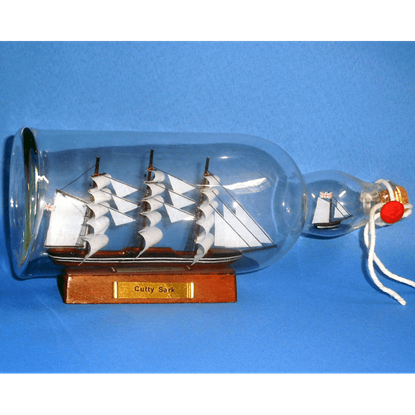 The Cutty Sark Ship in a Bottle features a miniature of the famous ship, the Cutty Sark. The ship in a bottle is one of the classic items of nautical decor, inspiring awe and curiosity with its remarkable craftsmanship. 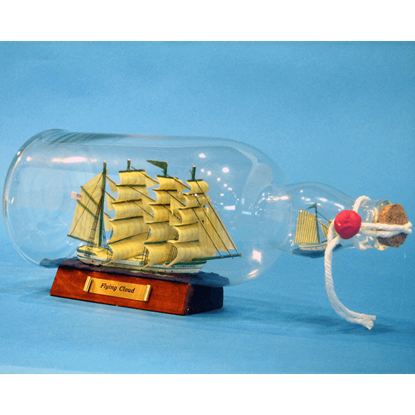 The Green Flying Cloud Ship in a Bottle features the record-setting ship, the Flying Cloud. The ship in a bottle is one of the classic items of nautical decor, inspiring awe and curiosity with its remarkable craftsmanship. The Green Flying Cloud Ship in a Bottle with Sky features the record-setting ship, the Flying Cloud. One of the classic items of nautical decor, the ship in the bottle serves as a curiosity and mystery to those who see it. The HMS Surprise Ship in a Bottle features the French-built corvette, the HMS Surprise. 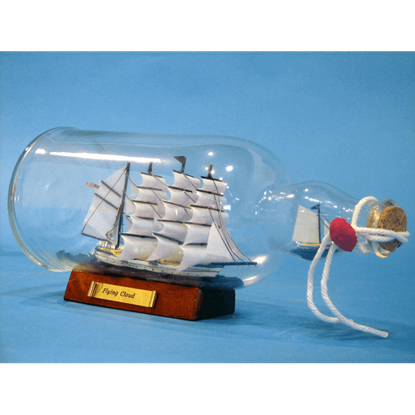 As a classic item of nautical decor, the ship in the bottle intrigues and amazes those who see it with its clever design. 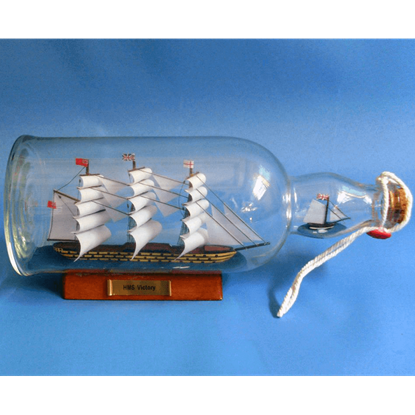 The HMS Victory Ship in a Bottle features the first-rate ship, the HMS Victory. 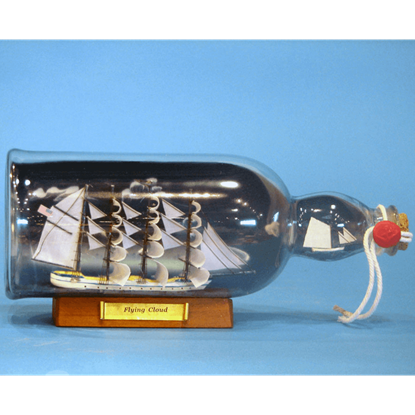 The ship in a bottle is one of the classic items of nautical decor. 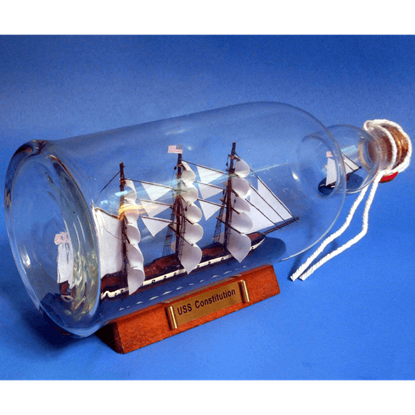 This stellar ship in a bottle features a miniature model of the USS Constitution, a ship that was one of six frigates in the United States Navy at its founding. I'd like to give my experiences with Dark Knight Armoury. They have been nothing but great to me in not only their fast shipping, good variety, and very helpful customer service. The products were affordable and high quality. I love my suit and I look forward to loving it for years to come.